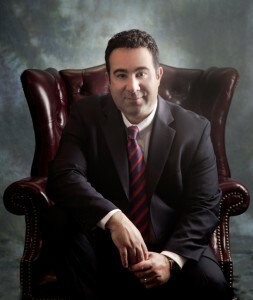 Attorney Chris DiGirolamo has recently been honored as a Bergen County Top Lawyer by his colleagues. This remarkable distinction has been awarded to Mr. DiGirolamo as a result of a peer-review survey of more than 3,000 lawyers across Bergen County. The survey, conducted by DataJoe Research and commissioned by BERGEN Magazine, asked respondents to identify attorneys, other than themselves, who they considered to be the best in various practice areas and legal specialties. Mr. DiGirolamo is among the select few who have been widely recognized as a top personal injury lawyer in Bergen County. Chris’s high level of energy and desire to bring a case to the best possible results were evident from day one. Our case was settled out of court with the help of a mediator and Chris was by our side explaining what was going on every step of the way… We were also impressed by the respect shown to Chris by the retired judge we worked with as well as other lawyers. Chris was only happy with this case when he knew we had a settlement that we were very impressed with. – Michael & Donna S.
I am delighted to provide this testimonial for Mr. DiGirolamo. His representation of me during my case was unflagging over its 4-year duration. He kept me informed and prepared for every eventuality as the case progressed…He was always supportive and kind personally, and totally professional…. I will always be grateful for the way my case was handled. – Marcia W.
Maggiano, DiGirolamo & Lizzi, P.C. is proud of Mr. DiGirolamo’s latest recognition – and of the exceptional advocacy that he and all of our attorneys consistently provide to the victims of negligence. If you or someone you love has been harmed by another’s negligence, don’t hesitate to contact Fort Lee Personal Injury Attorney Chris DiGirolamo and the other trusted lawyers at Maggiano, DiGirolamo & Lizzi, P.C. Call (201) 890-4838 or email for a free, confidential, no obligations consultation. We are ready to provide you with the insights and advocacy necessary to protect your rights and set your case up for the best possible outcome. Achieve optimal outcomes and the maximum recoveries available. Let us explain how we can help you – and how we can make all the difference in your claim, recovery and future – during a free case evaluation. We look forward to helping you with your case.